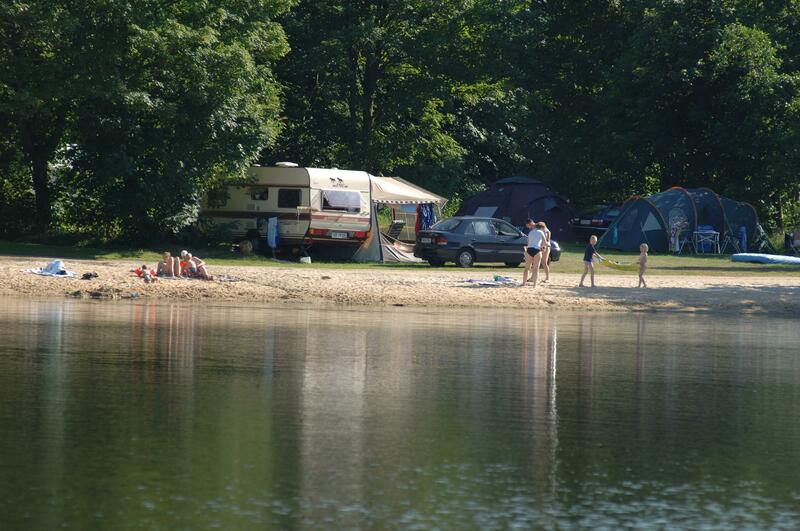 Fårup Sø Camping is situated in the most beautiful scenery – directly to Fårup Lake and 5 min. walk from Jelling forest. 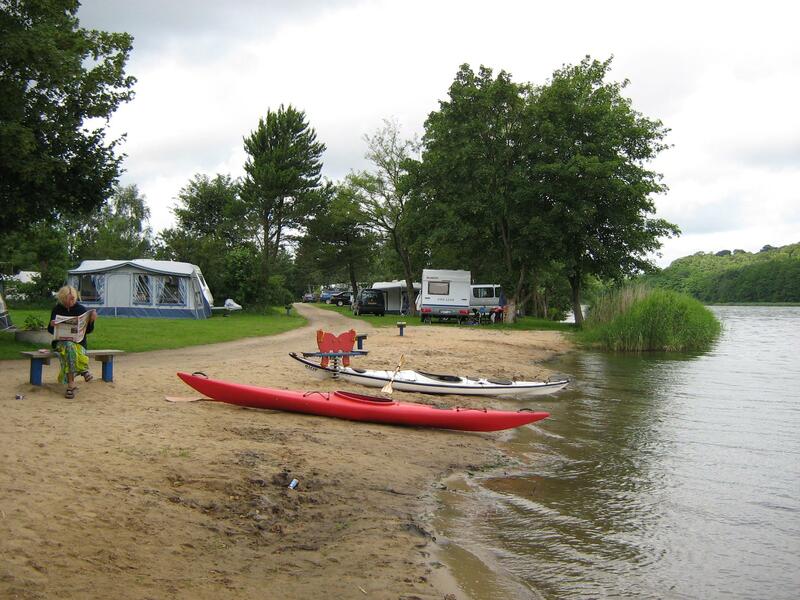 Fårup Sø Camping is situated in the most beautiful scenery – directly to Fårup Lake and 5 min. walk from Jelling forest. 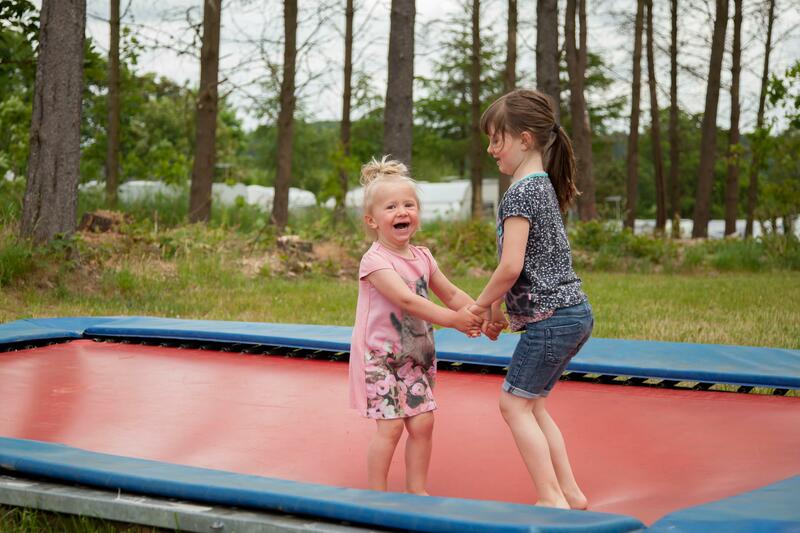 We offer a cosy family camping with 250 lots and 18 cabins. All over you’ll find grass under your feet and both lots with shelter and shade or plenty of sun. 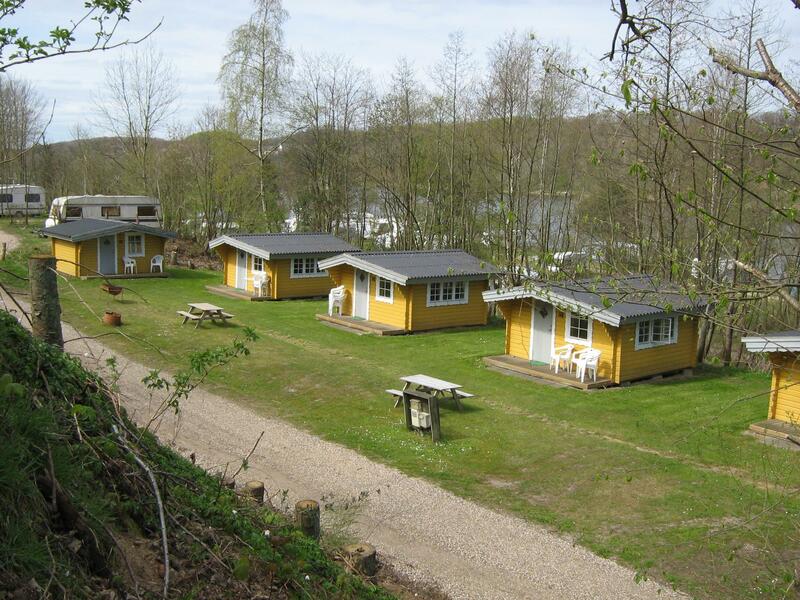 The nice cabins are in the midst of the lovely surroundings of the lake. Some have a view of the near fields – other are close to the lake. 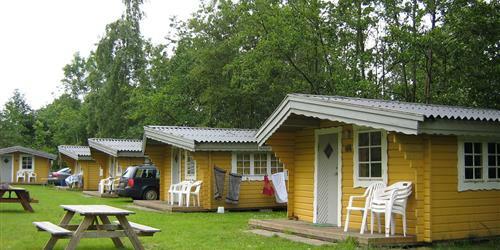 The cabins available sleep 4 or 5 persons and are all modern and well furnished. 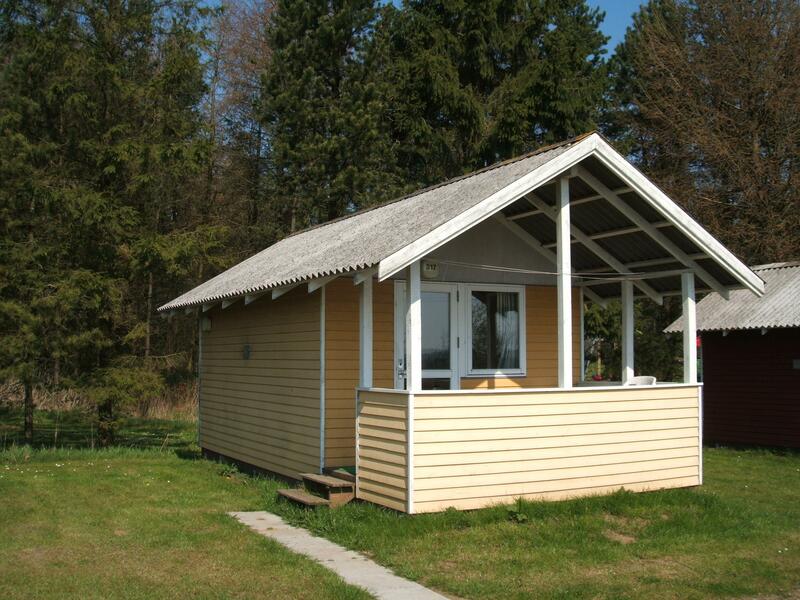 There are no pets allowed in the cabins and they are no-smoking. 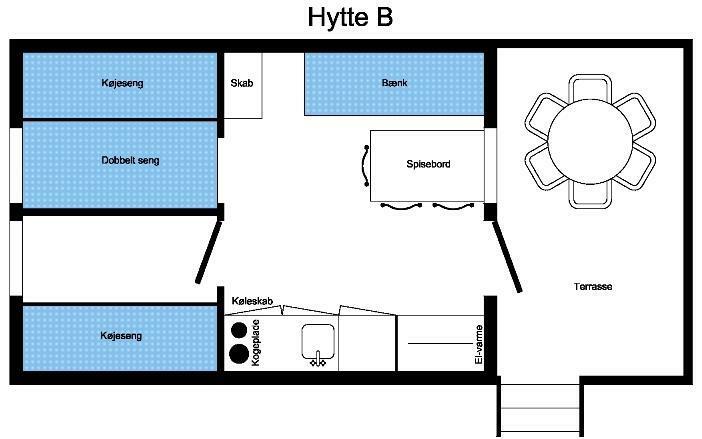 Bed linen, towels, tea towels and cloths must be brought. 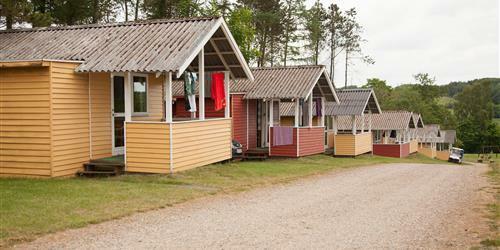 Fårup Sø Camping is a children friendly site with activities for all age groups. 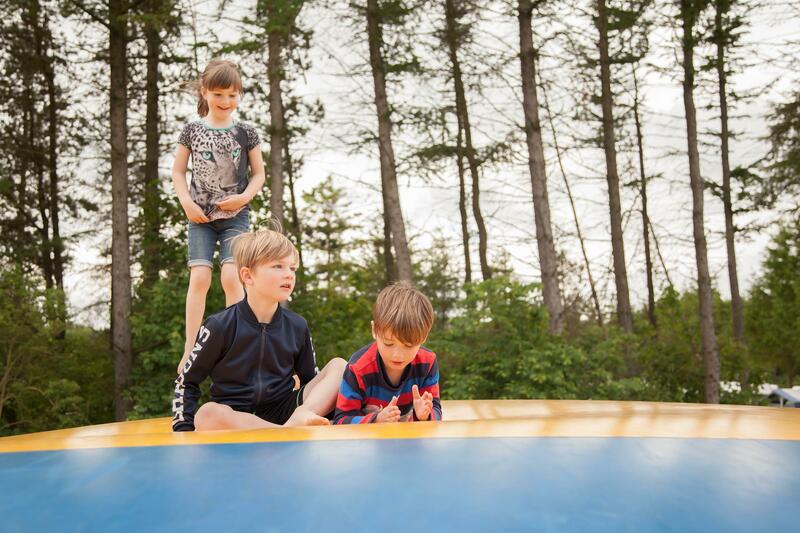 At the grounds you’ll find 2 big playgrounds offering a 157 m² big ”jumping pillow”, 2 rope way, a play tower, a ”birds-nest” swing as well as ordinary swings, trampoline, rollercoaster, merry-go-round, sandboxes, seesaw-animals and much much more. In the common room you may enjoy a game of table tennis, pool, table soccer or air-hockey or pass time at the slot machines. 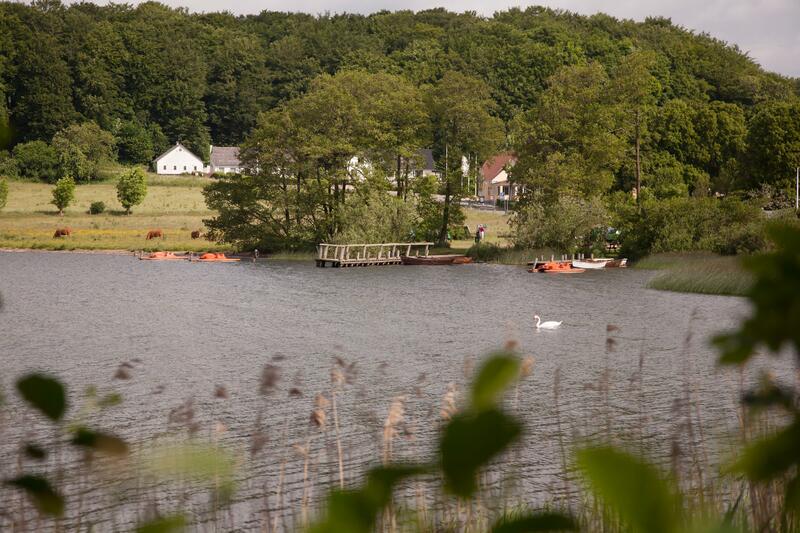 The stay comes with free right of fishing for a chance to catch your dinner! 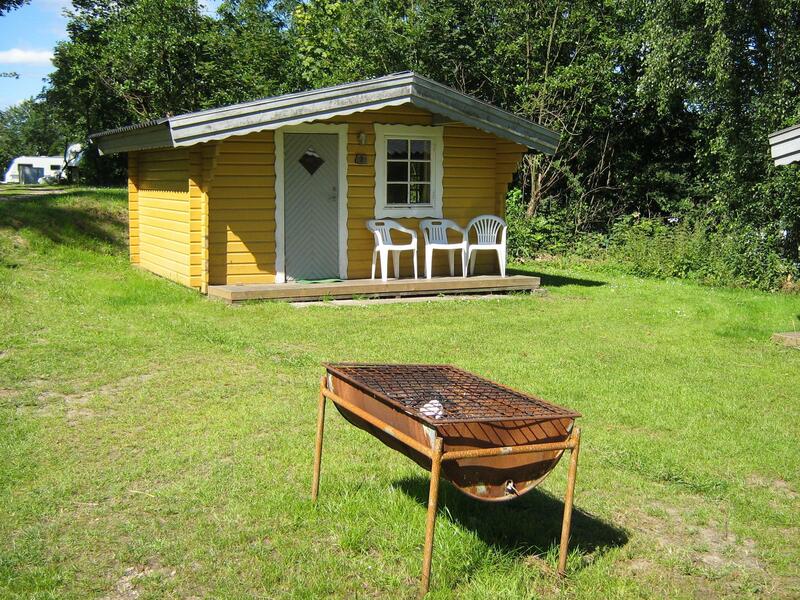 In the lake of Fårup you’ll find the following fish: Eel, perch, pike, trout, brace and roach. 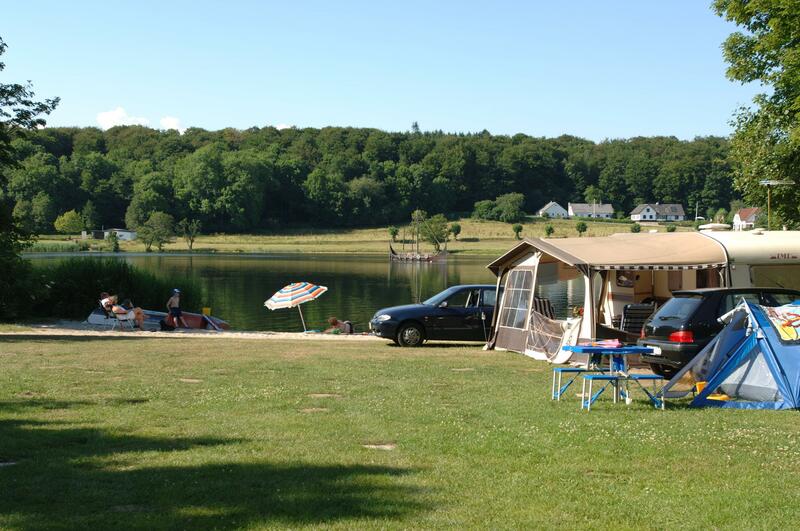 It is possible to fish directly from the camp or it is an option to rent a row- or biking-boat 100 m. down the shore. 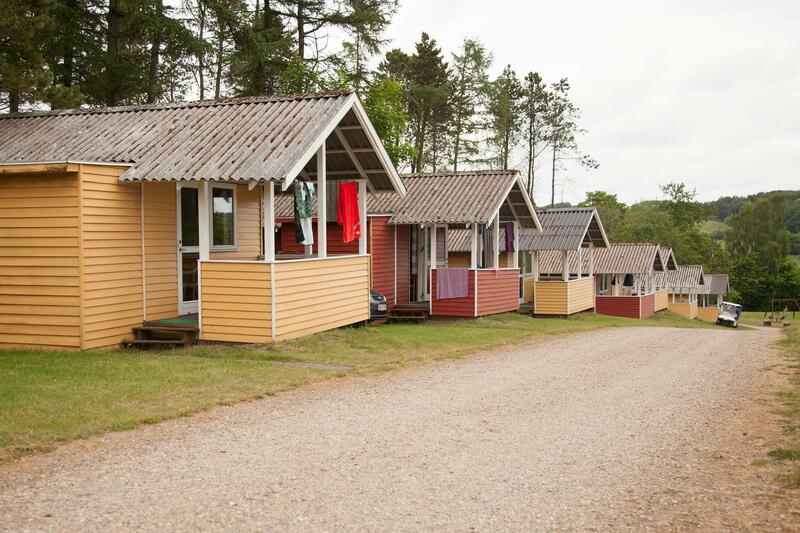 From Fårup Sø Camping you’ll be close to some of the regions sites and attractions. 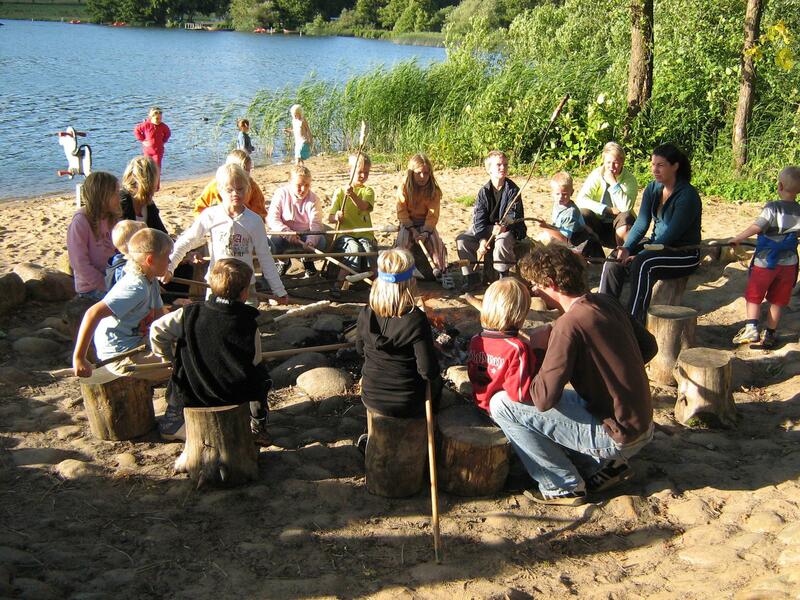 You are only a short distance from your children being able to ”dig for gold” in the Legoland Park – or seeing their first lion at the Givskud Zoo, “LØVEPARKEN. 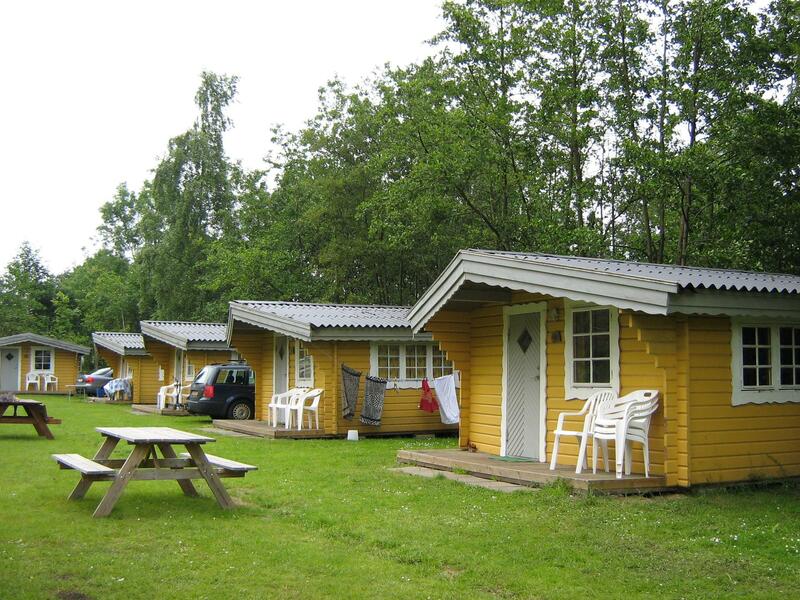 FÅRUP SØ CAMPING is a splendid centre of adventure. 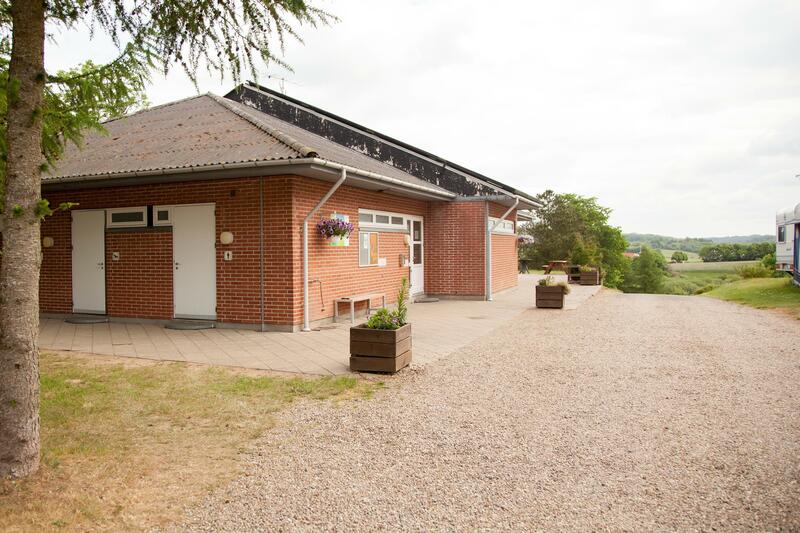 Offers hot and cold water and sleeps 5 in 2 separate rooms (1 with double bed single bunk bed and 1 with 2 bunk beds (only suited for children). 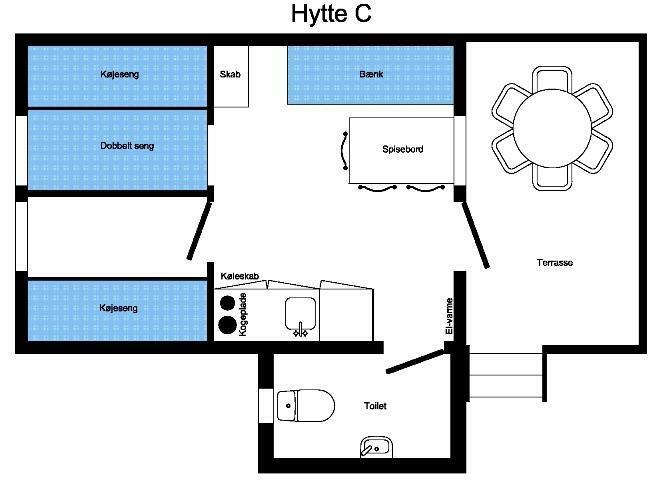 The cabin has a private lavatory * (not shower/bath) and a kitchen including 2 cooking plates, refrigerator, coffee machine, table, chairs and cutlery for 4 persons. 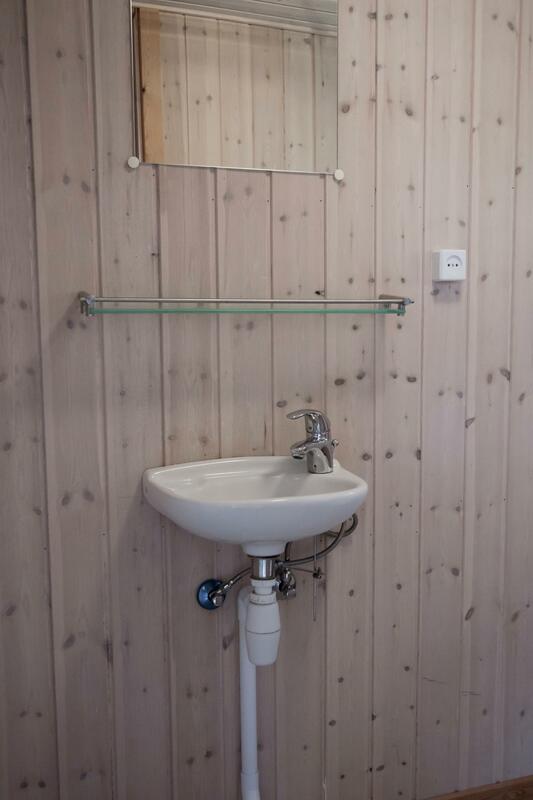 The cabins have electrical heating. 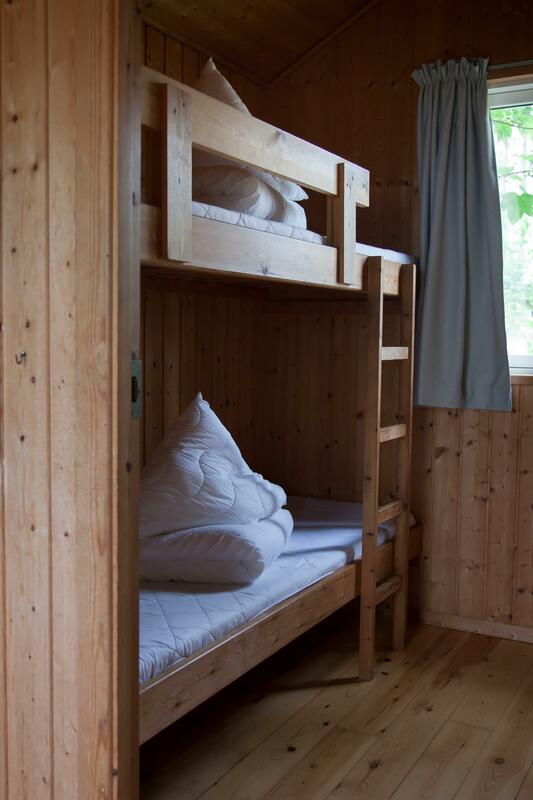 There are pillows and covers in the cabins. * Toiletpaper must be brought. 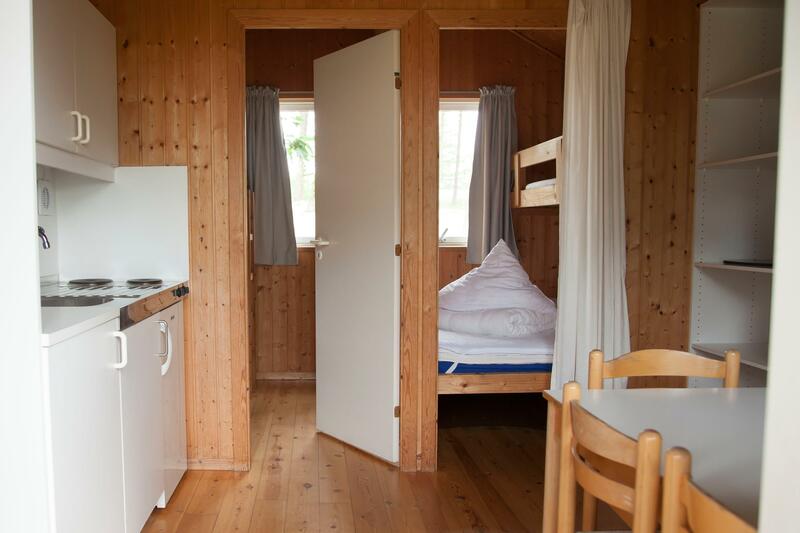 Offers hot and cold water and sleeps 5 in 2 separate rooms (1 with double bed single bunk bed and 1 with 2 bunk beds (only suited for children), 2 cooking plates, refrigerator, coffee machine, table, chairs and cutlery for 5 persons. The cabins have electrical heating. 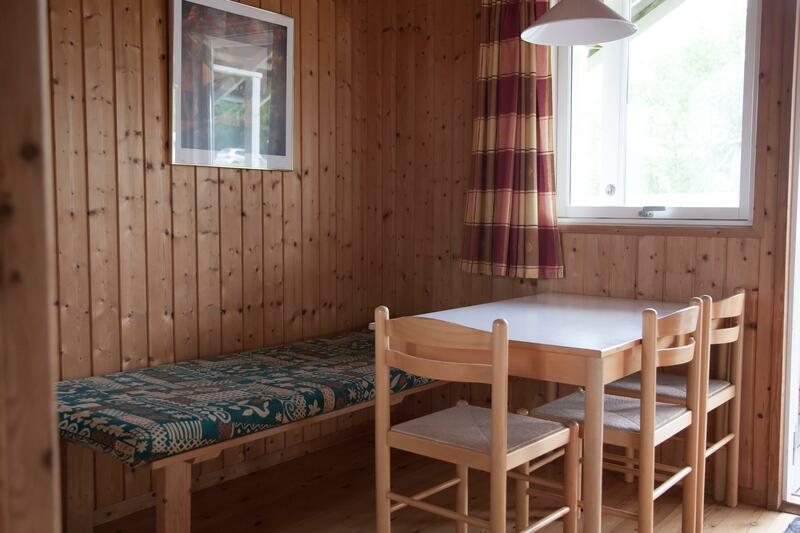 There are pillows and covers in the cabins. 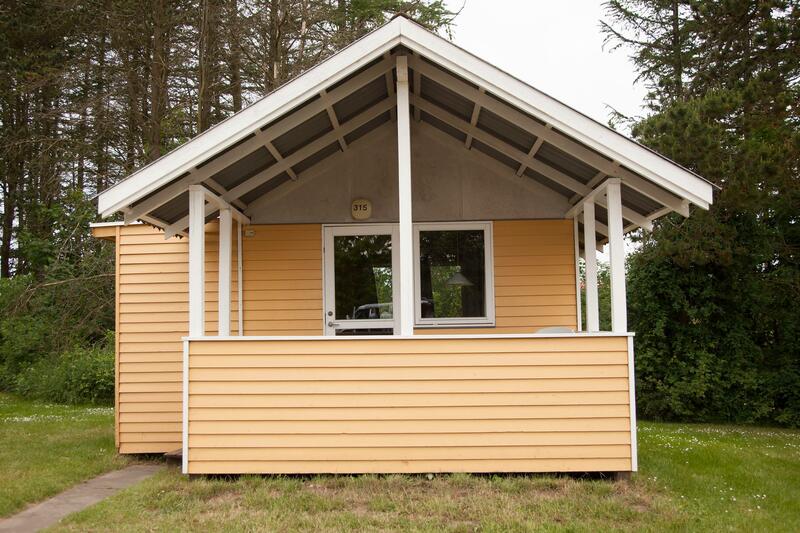 Offers cold water only and has 4 bunk beds, 2 cooking plates, refrigerator, coffee machine, table, chairs and cutlery for 4 persons. 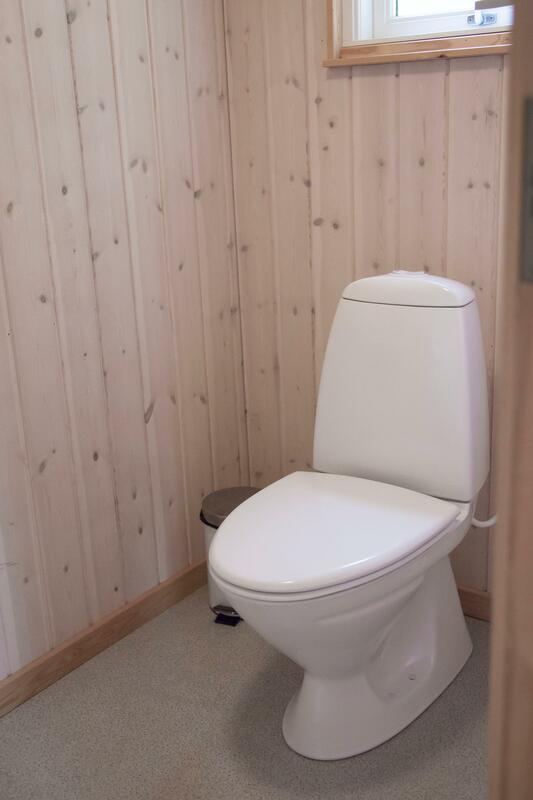 The cabins have electrical heating. 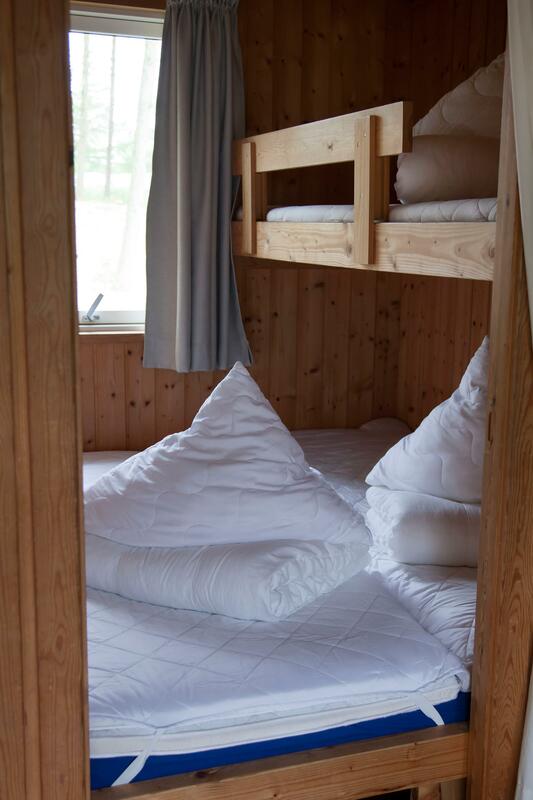 There are pillows and covers in the cabins.